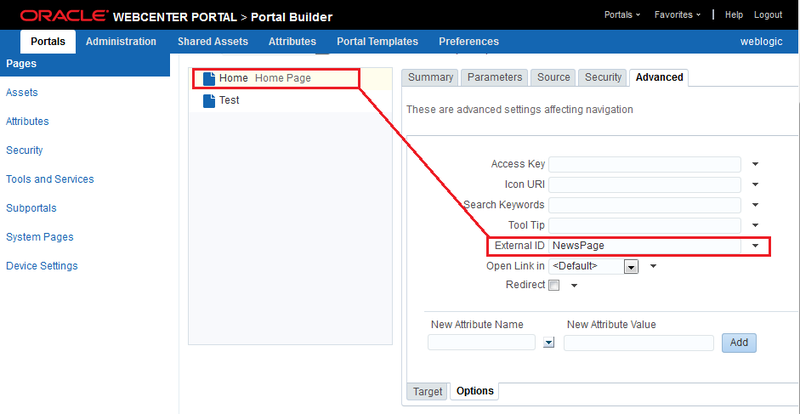 In case of be required to link a Portal Page from an external resource as a HTML, Data File or Region Template then the External Id of the page / navigation node must to be setup. navigationContext and currentNode can't be updated properly. Memory leaks can appear as a new adf.ctrl-state is generated. How to setup the External Id? 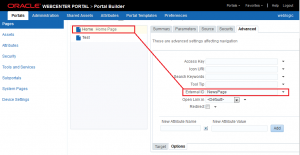 You can use it inside of Data File WYSIWYGs, Region Templates and HTML Content. The URL shows externalId… How to show again the prettyURL? 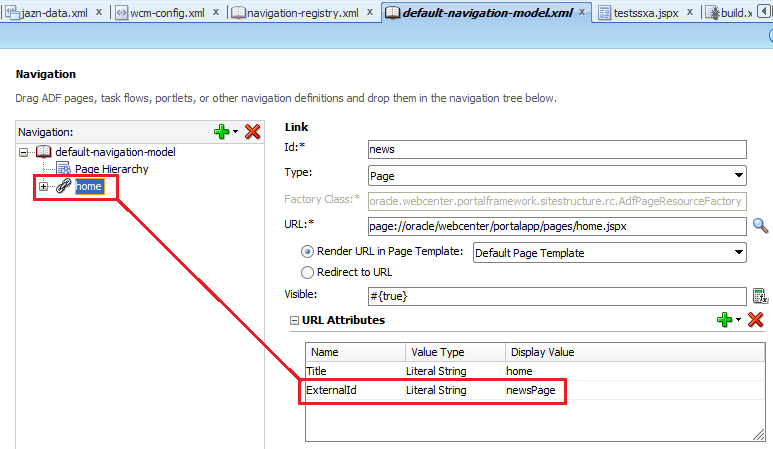 Adding following content-param in web.xml will translate the externalId URL to prettyURL for 11.1.1.6.5 to 11.1.1.8.x WebCenter version.